Rioja is the most famous wine regions of Spain and one of the most known world wide. Located in northeastern Spain along the Ebro river from the town Haro to the town of Alfaro and parallel to the Sierra Cantabria. The land of Tempranillo, its main variety that produces bright, berry scented , barrel aged wines. The region is divided into three zones. Rioja Alta is the western, higher part south of the winding poplar-lined Ebro River. Rioja Alavesa. The bodegas would seem to play down the importance of their sub-region, most failing to name it on their labels. Often that’s because they have vineyards spread across the sub-regions, and many Rioja wines are a geographical blends. 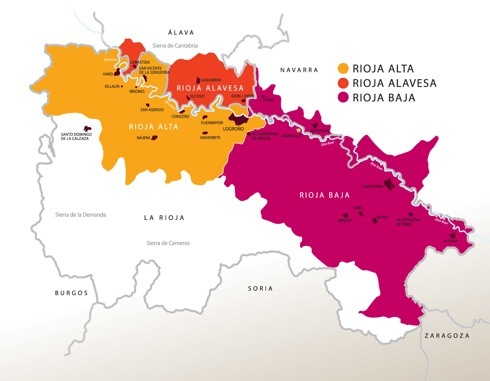 But differences there are, with Rioja Baja being furthest from the cooling influence of the Atlantic and having a more Mediterranean climate that is hot and dry, whilst Rioja Alavesa hugs the Cantabrian mountains, and wines from there experience a cooling influence with good acidity and a more mineral character. This tasting includes a white and one red from Alavesa and two reds from Rioja Alta. 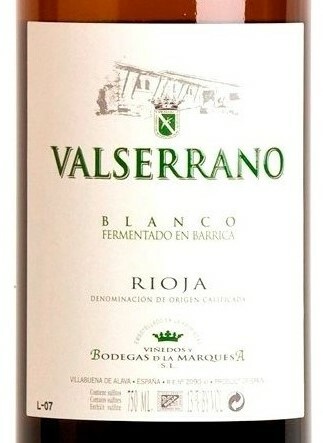 The Wine: This wine is a blend of Viura (95%) and Malvasía (5%). A nicely oaked bouquet includes aromas of tropical fruits, melon and green banana. This has a full, creamy palate, with oak resin and acidity balancing each other out. Salty melon and banana flavors are oaky, while this is texturally pleasing on the finish. After manual selection of the best grapes, gentle pressing and careful débourbage (decanting of solids), the must ferments in new French-oak casks in contact with the lees for a few months, with weekly lees stirring so that these remain in suspension, protecting the wine from oxidation and increasing its roundness in the mouth. Finally, it is fined, filtered and bottled with no prior cold stabilization treatments. Bright, pale straw-yellow color with golden glints. Nuances of sweet waxes, like honeycomb. As the wine opens up in the glass, reminders of aromatic herbs, moss, fennel, come out, and also sweet fruits and honey notes. Great glyceric sensation of roundness in the attack. Evolving through the mouth into a broadness sensation, reminders of fine woods together with aromatic herbs. Mineral and balanced in the finish, long and crisp. Today, approximately 450,000 kg of grapes are produced per year, nearly all of which are from the 65 hectares of vineyards belonging to the family, and around 15 hectares of vineyards cultivated by long-term suppliers to the winery, carefully managed to ensure the quality of the grapes. Every year an average of 306,000 litres of red wine and 30,000 litres of white wine are produced. All our plots are situated within the boundaries of Villabuena, a short distance from the wine cellar, on sun-kissed slopes which descend from the Sierra de Cantabria, protecting them to the north, towards the banks of the Ebro River in the South- Southwest. With the prime goal of preserving the character and quality of our wines, we still maintain very old, low-yielding vines, at the same time as new plantations start to bear fruit. The average age of the vines is over 30 years. 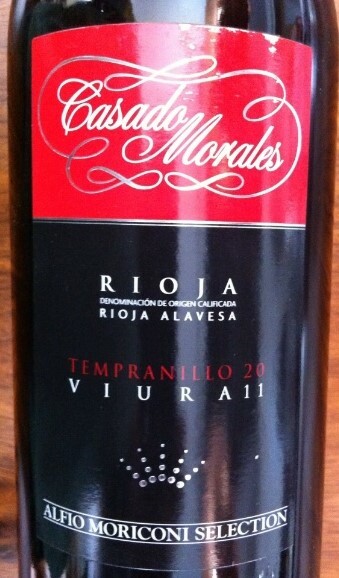 The Wine: This is Tempranillo red with a touch (10%) of Viura. Offers up a fresh, fruity, spicy, black cherry-scented nose. This leads to a Beaujolais-like, round, fruit-filled, medium-bodied wine that has no hard edges. Serve withpasta, appetizers and soft cheeses. The Winery: Casado Morales Winery is a family enterprise operating since 1925 located on the left bank of the Ebro River, just a few miles west of Logroño. Grapes are subject to rigorous manual recollection and selection. Wine is made by the full grape system (carbonic maceration) for young wines and stemmed grapes for the wines that will age in oak barrels. During the fermentation process there is intense and frequent remounting to obtain wines of great colour and body, making possible a balance and a singular structure of great character. After alcoholic fermentation the wines come down due to gravity to a second shed where they will be stored in reinforced concrete deposits for their malolactic fermentation. After fermentation wine is aged under total control of the ideal temperature and humidity. The winery counts with 1000 barrels, 700 of which are of French oak and 300 of American oak, whose age will never exceed that of 5 years old. 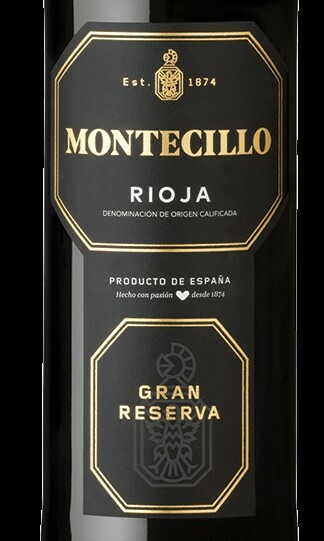 The Wine: This elegant wine has been made with Rioja’s native grapes, following a century-old tradition. It has been aged for five years, a minimum of two in oak barrels and a further three in bottle. Complex and balanced, its black fruit notes are outstanding to match roasted meats and strong cheese. Alcohol 13.5%. Winemaker Notes Intense ruby red in color, this wine offers strong aromas of ripe fruit. On the palate, it is complex and elegant — showing a satin texture with fine tannins and flavors of leather. The long finish offers notes of licorice. Ideal with any type of meat, especially game. It is a very elegant wine, which enhances stews and dishes with fatty fish like salmon and tuna. Wine Spectator : A silky, supple texture carries modest but harmonious flavors of cherry, tobacco, leather and spice, supported by light tannins and balsamic acidity. Focused, in the traditional style. The Winery: At the dawning of the modern La Rioja, in the second half of the nineteenth century, a handful of enthusiasts firmly believed in the Bordeaux elaboration methods and started to elaborate wine with the with the intention to go beyond the limits of the domestic market. One of the first to do this was Don Celestino Navajas Matute, of a family deeply rooted in Fuenmayor, who found his winery in 1870 in Fuenmayor. Montecillo’s origins are in Fuenmayor, one of the town with the longest traditions of wine growing in the Rioja lta. Surrounded by vines and close to the waters of a serene and benevolent rover, the Ebro, Fuemmayor’s surroundings are set among the flat top hills, and in the distance the distinctive rocky mass of the Cantabrian mountains. It is the third oldest winery (second oldest in Rioja Alta) of more than 600 wineries in Rioja, established in 1874.Using mainly tempranillo grapes – the processes of vinification and ageing are controlled with the very latest systems. One of the key milestones of the winery’s recent history is the incorporation in 2005 of Ganimede tanks, which give a more gentle, selective and effective extraction of the wine’s aromatic compounds. Another major factor is the constant renovation of the barrel stock, with more than 20,000 French and American oak barrels currently in the cellar. More than 140 years after the founding of the first bodega, Bodegas Montecillo maintains its solid philosophy of respect towards the vineyard, the selection of the best grape, a coherent wine production, ageing in high quality oak barrels and refining in the tranquillity of its impressing cellars, where bottles lay that are dated back to 1926, the same year that Rioja received the indication of a protected “Designation of Origin“. The Wine: Deep aromas of baked black fruits are bolstered by oaky notes of lemon peel and barrel spice. This is intense and hard driving, with flavors of coffee, lemon, blackberry, chocolate and tar. The smoky finish is accompanied by roasted berry notes and shearing acidity. Drink through 2020. Elegant, Frutity, Spice, Full-Bodied” “Bright purple. Powerful smoke- and spice-tinged dark fruit scents.Sweet and seamless in the mouth, offering juicy black raspberry and fruitcake flavors that become spicier with aeration. Shows excellent focus and intensity on the finish framed by smooth tannins. The Winery: At the foot of the mountain range which gives the name to our wines, the Eguren family since 1870 has been dedicated to growing the finest grapes and in creating some of the most outstanding wines. The vineyards of Sierra Cantabria are located primarily in the towns of San Vicente de la Sonsierra, Labastida, and Laguardia. The Tempranillo variety predominates (91%) along with small amounts of Malvasia (3%), and Viura (6%) spread across proprietary vineyards which total approximately 267 acres (108 hectares). Altitudes range from 1,440 to 1,740 ft. above sea level (480-580 m). Average production is approximately half a ton per acre. Organic fertilization. Viñedos Sierra Cantabria vineyards are harvested by hand. They have been doing ecologically conscious agriculture in their own vineyards for the past 12 years. The soil is composed of clay-lime, the best soil of Rioja. The climate is continental, with the influence of winds from the Atlantic, but protected from more severe weather by the Sierra Cantabria mountains. Sierra Cantabria was founded by Guillermo Eguren, a self-made bodeguero, who followed a family tradition of vine growers. Today, the fourth generation of the Eguren family directs all aspects of the wine making process, with Marcos Eugen as the winemaker and director of operations and his brother Miguel Angel Eguren as the general manager. 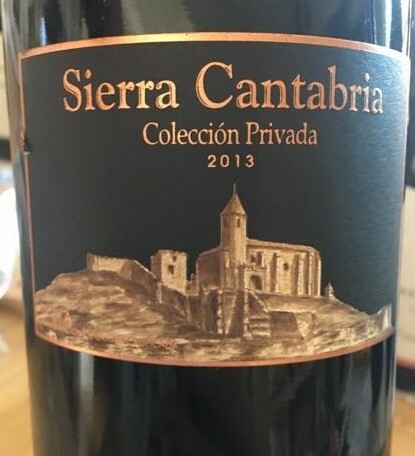 Sierra Cantabria has come to the forefront of Spanish wineries in the past 15 years. This is from the extreme care that they give to their vineyards, located in the best terrain if Rioja, the savoir faire of Marcos Eguren, and his price-conscious policies. Vineyards are in San Vicente de la Sonsierra, one of the most famous towns in Rioja, known for the quality of its grapes. This entry was posted in Meeting Abstract and tagged Rioja, Spain, Tempranillo, Viura. Bookmark the permalink.